While working on the chat-cord project I saw this page which is about telephone circuits. What the chat-cord does is to power a regular phone and act as a audio interface between the phone and your computer. 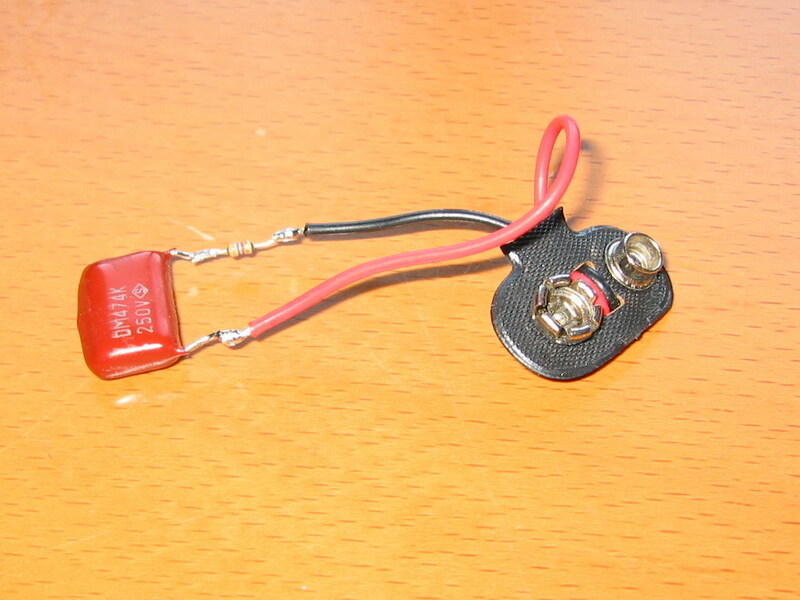 This is simply done with a transformer, a battery and a resistor. Even though you can design this device in many different ways, the benefit of this device is the transformer which will electrically isolate your phone from your computer. In short – it’s hard to break anything with this setup. If you want to build this but haven’t got a clue about what a chat-cord is or how to build one then have a look here. You’ll also find a lot of information about the transformers there. slaughter my chat-cord for this. So – let’s modify it and add an adapter to make it dual function! Well I guess I could’ve build in a switch or something but I think an adapter is going far enough. In the original schematics we only had a battery on the primary side, and here we have added a capacitor (to filter out the DC current) and a resistor (to lower the load on the telephone network). On the secondary side we’ve added two diodes. This is done as a protection as when the circuit is connected to the telephone network the ring signal generative a 90v AC signal. You don’t want that sent into your computer, so the two diodes will shortcut anything above 0.7v. It will not shortcut the sound as this is almost always below 0.7v. A word (or a lesson whatever you like) about diodes. A diode is a component that can only lead a current in one direction. If the current goes in the wrong direction then they will act like an open switch, not leading anything through. The problem, and in our case the benefit, is that a diode doesn’t start to work until the voltage is above 0.7v. So by connecting two diodes, one in each direction, they will do nothing when the signal is below 0.7v (sound) and they’ll shortcut if above 0.7v (ring signal). As I had a nice 9v battery plug attached to my chat-cord I took one more battery plug to attach the circuit when used in tap mode. To find the resistor, diodes and the capacitor I slaughtered an old phone to find the right components. 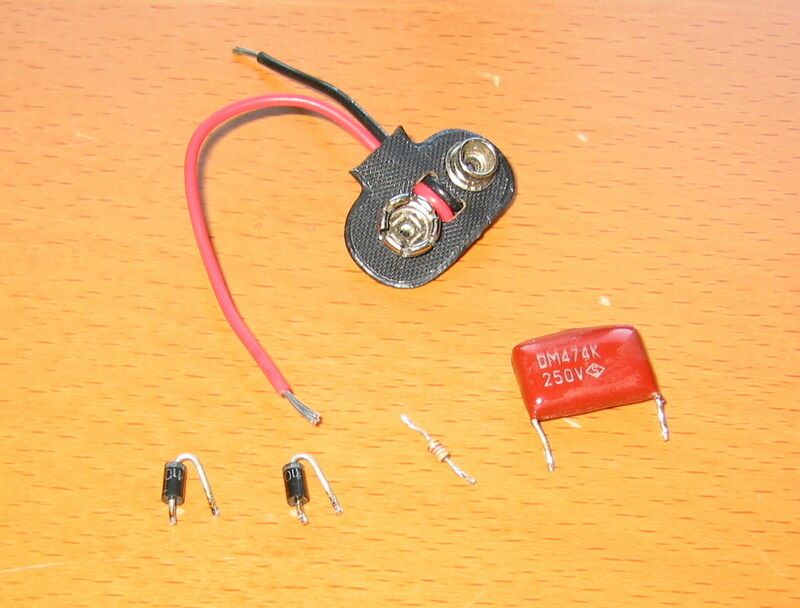 The benefit especially lays in taking the capacitor from the phone as this has to be rated for high voltage. The one I found in my phone was rated 250v and that should be on the safe side. colours on them. Look at this colour scheme and try to find something that matches 3-4kohm. Or, duh, you can just desolder a lot of them and measure them until you find a good one. Attaching the diodes speaks for itself. In my case I just put one in each direction at the end of the board where the cables go to my computer. Now comes the fun stuff – tapping! My chat-cord has two cables out, but as we’re only going to tap the phone we only want to connect one of them into the line in. If you would want this device to also play sounds back on the phone line, then you connect one to line in and the other to line out. As simple – and flexible – as that. permanently connected to the phone line it will not be heard coming on and off. I found this software called Atropos from CyTeG. The software is only $25 dollars for the one channel version, and there’s also 2 4 and 16 channel versions available. 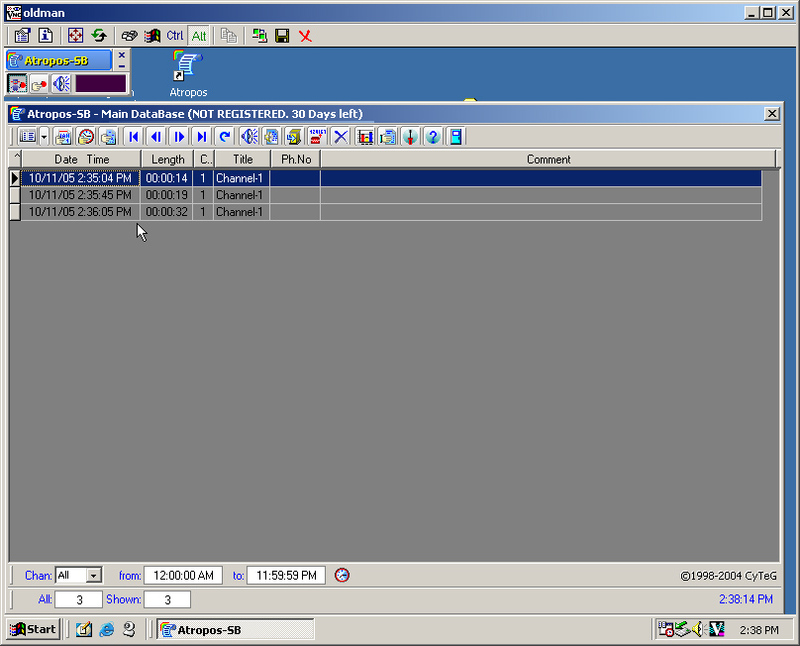 It has a LAN monitor version and a web monitor version, not something I’m going to use but still. The software is quiet straight forward. It listens to the channels and when the noise goes above the defined noise level then it’ll record the sound to a file. Simple as that. So when someone calls me what it actually records are first a set of DTMF tones for the caller id, then the ring tone (the shortcutted 90v AC signal which is not 0.7v AC) and then later on) the phone conversation. cupboard or something and simply forget about it. 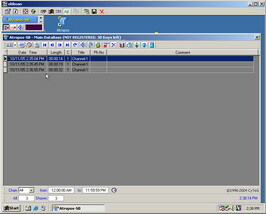 The files are saved locally and if you need to retrieve anything then just VNC into it and save the session of interest as an MP3 on the network. Remember that as far as I know tapping a phone line, even if it is your own, is very illegal. For god’s sake – if even the police has problems getting it authorized then I don’t think that you can do it yourself. One way around it is to inform everyone before the conversation starts that it’s being recorded. You know like the message you can get when you call one of the big companies helpdesk “This call will be monitored for quality purposes” or something like that might get you off the hook. Still, the worst that can happen is if you have it connected and the missus finds out after a two hour chat with her sister. Wow! Then you’ll be in trouble!! By using an old laptop, a home made chat-cord and some parts from an old telephone you can build a telephone tapping device. Add Atropos to the mix and you have yourself an telephone call archiving system that will save all incoming and outgoing calls…. I know in at least some states (in the US), as long as one party is aware the phone conversation is being recorded (i.e. you), it is perfectly legal. Very nice site. Please keep updating it. This is a great idea, your a total genius. I cant wait to try it. Your site is exactly the kind of sites which make the net surfing so fun. I have been able to build the project. He seems to work but when I try to he use with a softphone on the telephone from the other departs hear a very annoying rustle above all when he are not spoken. is it normal? how could he resolve? I have found un transformator in a old telephone. is it normal that does my taking work is it like microphone that speaker? The signal input and output in the same jack. If you plug a tapping device on your phone and the light is red, does that mean it is being tapped, or does green? Isn’t it against the law, so could the police or sherrif’s dept. tap it without your knowledge? I am in Mexico (anything goes) and would like to use the phone tap device on some ill-mannered family. Can you please help me with how to go about this? With this setup would hitting record on any sound program that is pointed at the line in work? kool,that’s it!!! this is crap isnt dhiraj…..